This intricate 18 kt. 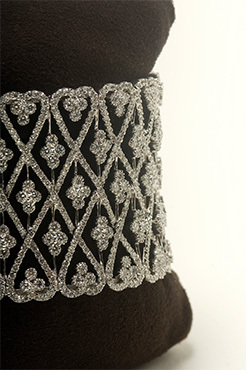 white gold cuff features 1,389 brilliant white diamonds and an invisible hinge entry. 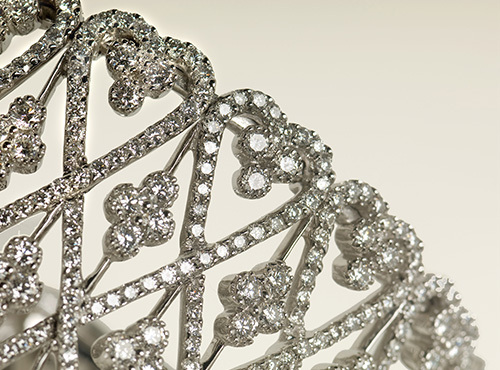 The total weight of diamonds is 26.26 carats in this stunning work of art.